The Silverado full-size pickup is larger in almost every way while being much lighter than last year’s model. Buyers of the Silverado 1500 have plenty of choices in configuring the truck they want. They can choose between regular cab, double cab and crew cab body styles, all with the choice of two-wheel-drive or four-wheel-drive. There are eight models to choose from: Work Truck, Custom, Custom Trail Boss, LT, RST, LT Trail Boss, LTZ, and High Country. Regular cab models are offered with an 8-foot box. Double cab models are available with a 6.5-foot box, while crew cabs are available with a 5-foot 8-inch box or the 6.5-foot box. Buyers can also choose from six different engines depending on trim level: a 4.3-liter V-6 making 285 horsepower, a 5.3-liter V-8 making 355 horsepower, a turbocharged 2.7-liter four-cylinder making 310 horsepower, a 5.3-liter V-8 making 355 horsepower with stop/start technology for added fuel efficiency, a 6.2-liter V-8 making 420 horsepower, and a diesel turbocharged 3-liter inline-six engine making 282 horsepower. 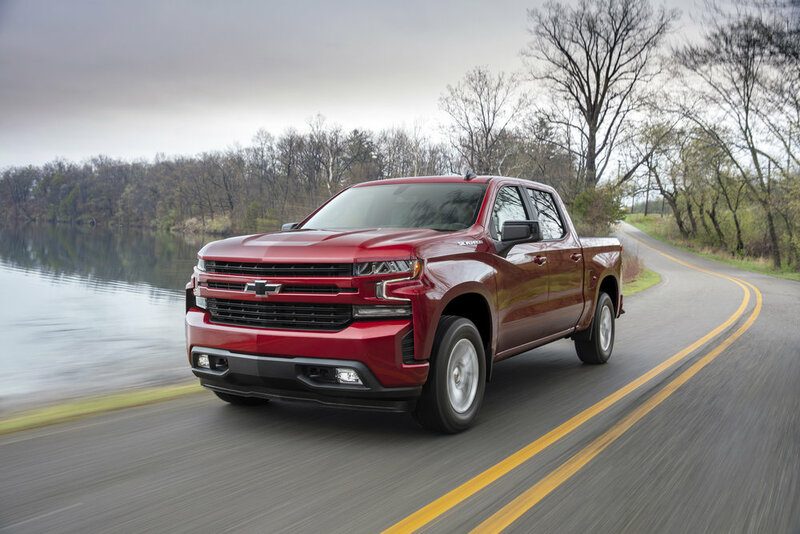 In addition, the new Silverado is available with a power tailgate, unique among pickup trucks, and the shortest box on offer can fit a a 4 x 8 plywood sheet flat on the bed floor. 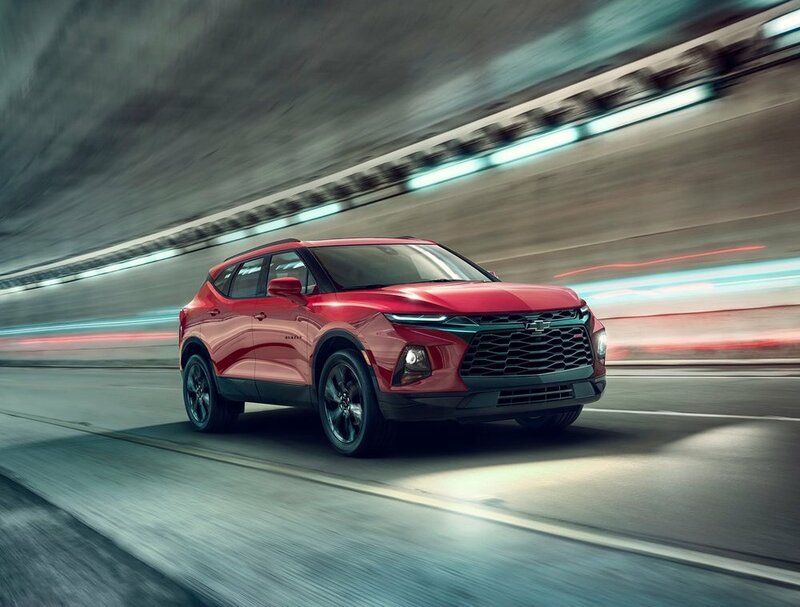 The Blazer, designed for five passengers, intends to grab customers who want a Chevrolet SUV larger than the Equinox but smaller than the Traverse while retaining practicality and a stylish exterior. For those planning to haul various sizes of cargo, the Blazer has an adjustable sliding rear seat and cargo management system with a rail system and cargo fence. Buyers can choose from six different trims: base L, midrange 2.5L Cloth and 3.6L Cloth, well-equipped 3.6L Leather, sport-oriented RS, and high-end Premier. L and 2.5L Cloth trim levels come with a 2.5-liter four-cylinder making 193 horsepower while all other trims get a 3.6-liter V-6 making 305 horsepower. Front-wheel-drive is standard on all trims while an all-wheel-drive system is available on V-6-equipped Blazers. Standard features include 18-inch aluminum rims as well as an 8-inch-diagonal color touchscreen running Chevrolet Infotainment 3 with Apple CarPlay and Android Auto compatibility. Customers can also get an electronic-locking glove box which offers added storage security, and is roomy enough to fit a small handbag. The glove box can be locked with the vehicle’s Valet Mode, which is accessible through the Settings menu.